The 1986 unsolved homicide of Steven Hill. 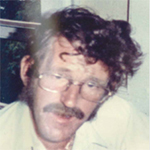 Steven Hill, age 38, was last seen picking up his paycheck from work on June 20, 1986 in Lebanon, NH. His body was found along the Connecticut River near Hartland, VT, at Summer Falls on July 15, 1986. He died as a result of multiple stab wounds. The New Hampshire State Police are leading this investigation while working closely with Vermont law enforcement authorities.